Bird and Wildlife Tour is the best way to find out soaring flocks in the Indian skyline, birds building their nests, and even perching on the branch of trees. The bird watching begins at Sultanpur near Delhi, where cranes and waterfowls swim through this sanctuary's lake. The other bird haven of this tour is in Rajasthan's Bharatpur's Keoladeo Sanctuary. The wildlife comes later in the trip with an excursion to Bandhavgarh and Kanha wildlife sanctuaries in Central India. Stretched over the period of 11 days, this Bird and Wildlife Tour is the best way for beginners to explore the bountiful wildlife of India.. Early morning arrive Delhi. Incredible India Tour Representative will welcome you at the airport and will transfer you to the hotel. Afternoon tour of Old and New Delhi by visiting the Red Fort, Qutub Minar, Jama Masjid, Raj Ghat, National Museum and Humayun Tomb,etc. Drive to Sultanpur Lake within the city where waterfowls and common cranes can be sighted easily through a leisurely stroll. Overnight stay. 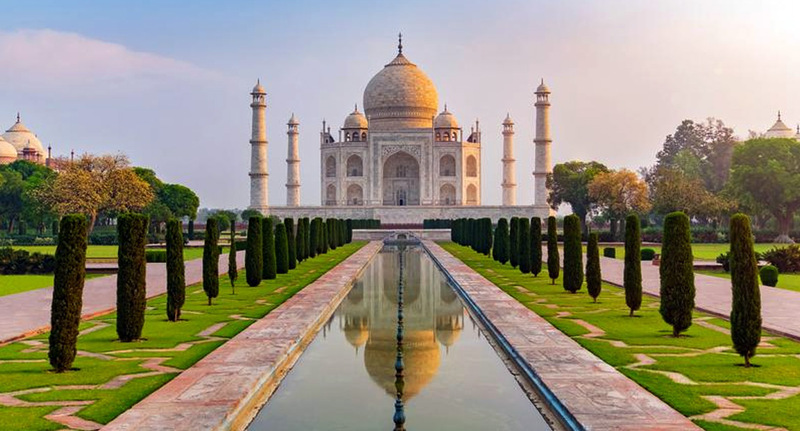 Morning, drive to Agra and visit the Taj Mahal, the medieval mausoleum in marble. Visit red sandstone fort, known popularly as Agra Fort. Proceed to the ghost city of Mughals - Fatehpur Sikri built by Emperor Akbar. Overnight stay. Bharatpur is one of the best bird sanctuaries in India. Morning and afternoon visit inside the park for birdwatching. Overnight stay. Morning transfer to Agra Railway Station to board train to Umaria. Overnight on board. Reach Umaria railway station and transfer to Bandhavgarh. Set amidst the Vindhya Range in Madhya Pradesh over an area of 437 sq. km, Bandhavgarh is a delight for wildlife watchers to observe numerous wildlife species along with native Tigers. Morning and afternoon indulge in the natural jungle safari at Bandhavgarh. Overnight stay at the Jungle resort. 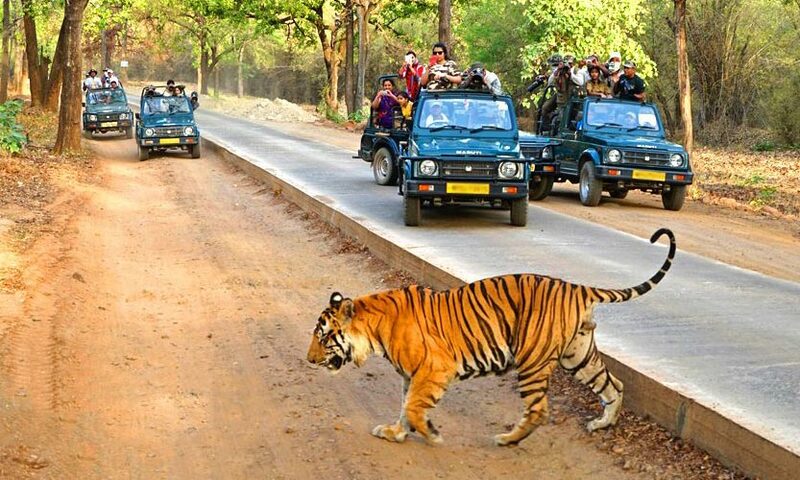 After breakfast, drive to Kanha, another wildlife park in the state famous for its tigers. This tiger reserve extends over an area of over 940 square km and provides flourishing grounds for tigers to breed. In the afternoon, tiger safari inside the park. Overnight will be at the Jungle resort. Enjoy a full day exhilarated safari (morning and afternoon) inside the jungle. Overnight will be at the resort. Morning visit the park again to bid a bye to tigers. Later proceed to airport to connect flight for Delhi. Upon arrival Incredible India Tour Representative will welcome and transfer you to the hotel. Overnight stay. Next day, transfer to the airport to connect flight for onward destination.